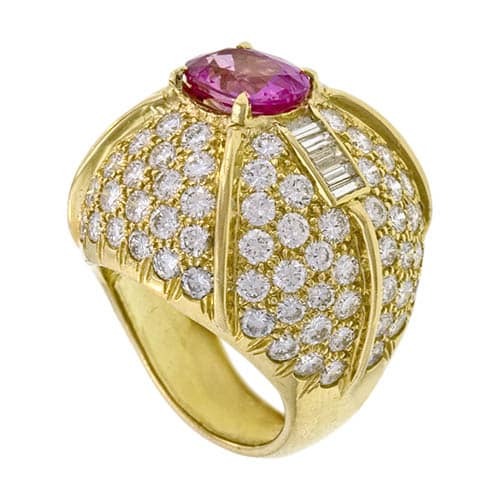 The term bombé (from the French for bomb or rounded like a bomb) refers to a rounded or dome shape in jewelry design. Generally, the item is rounded on the top with bulged or pushed-out sides and a plump outline. Bombé styling has been popular for rings and earrings throughout the twentieth century. Bombé also refers to convex watch jewels and dials.